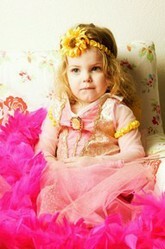 My princesses are at me again as they beg and plead for even more of a Disney Princess bedroom than they have already. The truth is I love to do it up as well. I was brought up on Disney and now I enjoy sharing it with the kids. It gives me an excuse to let my pink side out and blame it on them. The colors are adorable and it fills me with a lovely sense of joy. Having a room they have decorated makes them more willing to sleep in that room and that for me is a bonus as well. Lets begin with the walls of the room. There is wallpaper in a range of colors. 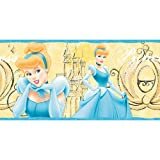 A Disney Princess room does not need to be pink, it can come in any pale color, even blue (Cinderella's dress is blue). This wallpaper is white with swirls. When placed on the wall with a border that may have all the regular princesses displayed on it, a beautiful bedroom is obtained. The wallpaper is activated simply by dipping into a little bit of warm water and putting it on to the wall. Even a novice decorator can do this. The border is self-adhesive so this too is simple to apply. With a plain wallpaper, the theme of the bedroom can really shine through using wall decals. These are stickers that can be moved at will. My daughters permanently move theirs around the place. Thankfully, they are pretty durable which does not mean they will remain sticky forever but so far they have stood the test of at least two years (and they have been tested!). Take heed - The decals will come off any wall and be re-positioned easily enough without a sticky or oily residue but if you mistakenly get the decal stuck to itself, then it is game over! You have been warned. 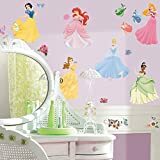 The decals come in a variety of sizes, you could have little ones to dot around the wall or you could have a castle, crown or carriage which all can be obtained online from Amazon and delivered directly to your home. 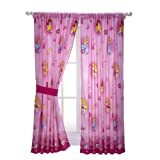 Now moving along to the window, there are an abundance of curtain choices available for you and your little princess. 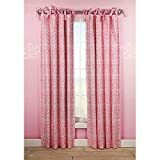 Take a look at the damask curtain with the lovely sashes that hold it in place. Then there is the printed panel and the dreamstate. The Dreamstate is more formal looking but goes really well with the Disney Princess theme. My main complaint with these curtains was the fact that there was no blackout lining on the curtains so the princesses would wake up with the dawn. I corrected this issue by sewing in some blackout backing fabric very easily to make then thick enough with withstand the brightness of the sun. Sewing the linen on is pretty simple. Just match up the liner to the curtains and sew them together around the top (just under the rail points) and the sides. I am sure there are more artistically aesthetic ways to do this but that worked sufficiently for us. In fact, I even joined two pairs of curtains together as we had a large window frame to cover and then added the liner to the back of both sets. It all looks amazing and has been washed and still remains in one piece. 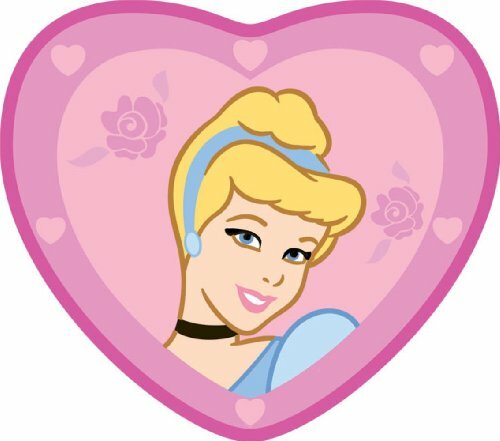 Do you have a Cinderella fan? Well, here is a Cinderella Rug. It will fit right into the decor for any Disney princess Bedroom floor. It is heart shaped and just the right size for little feet. 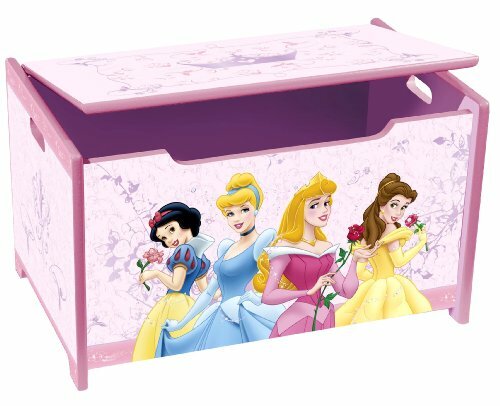 To carry on with creating the perfect Disney Princess Bedroom, every little princess must have a matching bed. There are quite a few options available which of course means that when one set is being cleaned, you have a replacement to keep the princess happy. You can get the sheets as well as comforters with the appropriate design on them. 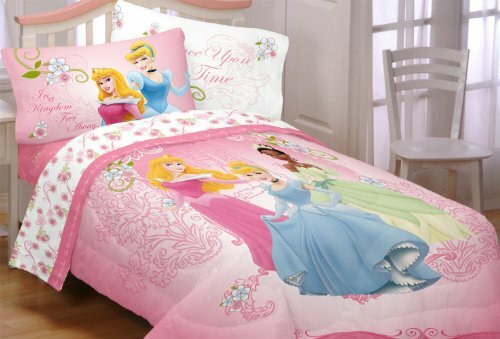 If you or your princess have specific princess likes, then usually each princess comes with their own branded bedding. I have included the general Disney Princess ones but do not assume that is all you can get. Click though to Amazon and explore if you are looking for a specific Princess. The full Bedding Set comes with a double sided comforter, pillow cases, a bed skirt, a flat and fitted sheet and decorative shams. All you would need to create an amazing bed for you or your princess. Most little princesses enjoy having nightlights or bedside lamps. Take a look at the novel Princess Carriage lamp - It is pretty amazing. You or your daughter will enjoy lighting this up every evening. You could also get the mini lava night light for the princess bedroom. This is just the right amount of light to drop off to sleep with the advantage of having something to look at which will soothe a little one to sleep. A definite winner, I am sure you will agree. 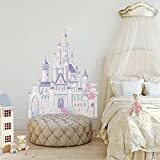 Getting the bedroom to look amazing is so simple these days as there are so many options available to add a unique pizzazz to any princess room. 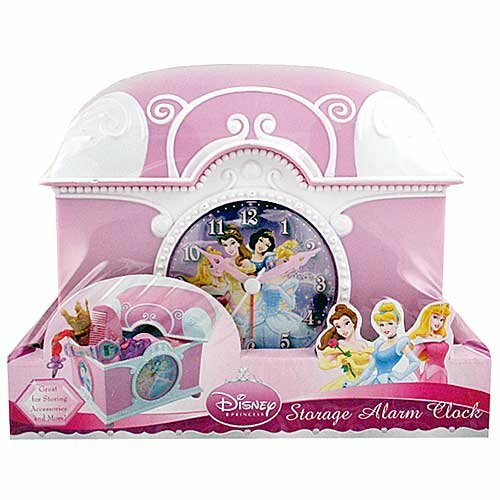 There is an alarm clock, perfectly completed with an accessory box for any little trinkets or jewelry that your little princess might own. We all know how much little ones enjoy dressing up. They can use it to learn the time as it lists all the numbers so teaching them using this clock would be pretty simple once they are ready. 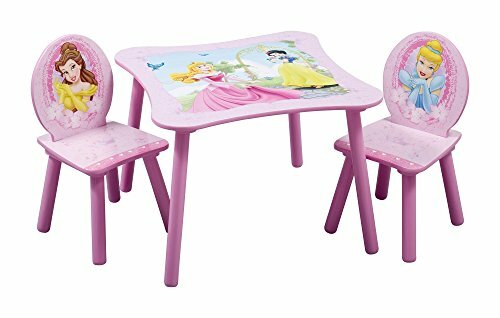 Does your princess have visitors in her room, then why not provide a desk and chairs all fitting into the princess theme. She can do her writing and reading from here. The table is made from medium density fibreboard and wood so definitely sturdy enough for the princess. Thankfully, it is not plastic so it looks quite stylish for a little princess. Take a look at the Mirror. 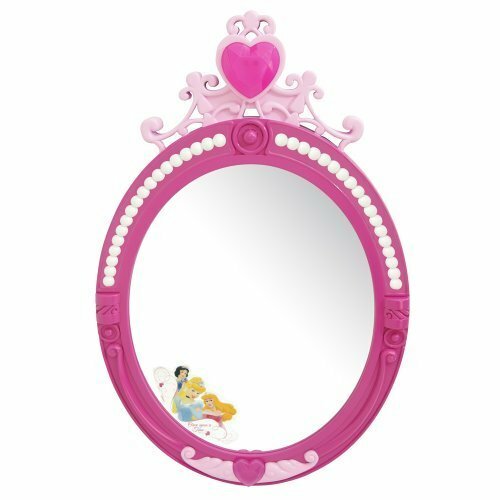 You get two little phrases when the heart gem on the mirror is pressed - "You are as pretty as a princess" (as though there was any doubt!) and "This certainly is a very magical mirror". An adorable addition to any princess room. It is not made of actual glass so less chance of it breaking and cutting the little ones. Need a Disney Princess Picture for the wall? 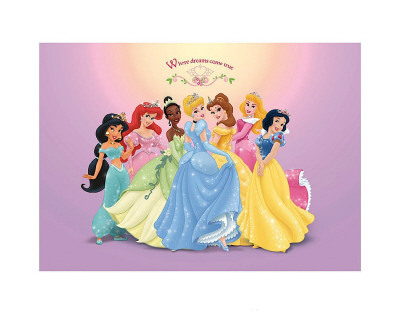 A great poster for any princess room. It can be ordered as a canvas as well - This is an advantage, there is just something stylish abut a canvas print on the wall rather than just a framed print. A range of sizes is available as well to suit the room you are decorating. Do you have a little princess crazy daughter? The Disney Princess Party theme is a great idea. Do you have any suggestions to add on for the perfect Disney Princess Room? What do you think? A lot of people tend to say that - Boys are easier than girls. I have nothing to compare it with so I do not really know. I have only ever had my little princesses and I LOVE it! (Well, most of the time!) They are a lot of fun and my oldest is starting to give me fashion tips! They are easy enough to please though, one princess item or another and they are happy...What do you do with boys? I had two boy and a girl. Boys are easier, but it's fun to have girls, because you can do all the girly things. I would have a Disney Princess room if I thought people wouldn't laugh at me! LOL.. 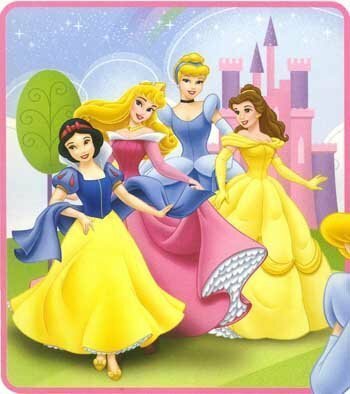 I have two little girls and they are all about these princess ladies. Great selection of items to choose from. Covered bridges are great places to visit. They offer a glimpse into the past, and usually are quite picturesque. And, they make excellent subjects of art.